Kenneth was a security guard at the Mall of Memphis in the days right before the demolition crew came and tore it down. He worked for Titan Security, driving a truck around the Mall property. This is his story. HEY TRY AND COMMENT ON THE BOTTOM OF THE PAGE. I WANNA KNOW WHAT SOME OF YOU GUYS THINK... IF ANYONE ACTUALLY READS THIS THING. 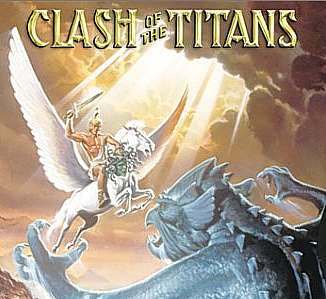 I began working for Titan Security as guard in the summer of 2004. It was my first job as a security officer. Before Titan, I worked mostly as a waiter and a convenience-store clerk. I started out at Titan as a rover, meaning I was on call whenever a vacant post became available. For my sake, it was fortunate vacancy was a common occurrence. I patrolled quite a few Wal-mart parking lots. One was in West Memphis, Arkansas. I didn’t care much for those posts. Parking lots were always crowded and hard to maneuver through. After weeks of staring Wal-mart in the face, I was stationed at Belz Factory Outlet Mall. The mall post was more my taste. I worked an overnight shift in the dead of the night. After hours, the mall was completely devoid of illumination, pitch-black almost. I walked around the perimeter of the mall repeatedly. No one was near; traffic was isolated to a car or two every hour. I daydreamed and wandered and looked up at the stars. Posts like the Belz Factory Outlet are the greatest. “Well, all right.” I told him I’d take the post and we ended the call shortly thereafter. Mall of Memphis was once a mall to visit, a place average and well-to-do families shopped and perused. It had an ice-skating rink and just about any shop your gushing heart could desire. It was the perfect hang-out for teenagers. They absorbed frozen treats at Dairy Queen, mustard-and-chili-slathered hotdogs at Chicago hotdog, played Pac Man and Centipede at the Goldmine arcade, ran across old friends and new, and discussed who they were currently crushing. During Christmas time, you sat in the lap of Santa Claus, whispered into his ear what you’d like him to bring you, and then had your picture taken. Mall of Memphis was the mall of the eighties and early nineties. But then something hideous happened to the mall: it deteriorated beyond anyone’s expectation or control. A thick growth of kudzu-decay skulked and prowled across the place and the owners of the mall couldn’t fight it any longer. They relinquished from battle. They locked the doors and set a date for its demolition. Almost a decade ago, I went with my older brother and his ex-girlfriend to the Mall of Memphis and I remember thinking it wasn’t a place I’d ever like to hang out for any length of time. It was dark, sterile and had all the trappings of a skeletal nightmare. Mall of Memphis was given the nickname “Mall of Murder” because people had been shot and stabbed at or near the mall. Also, “through-the-roof thefts” was rubber-stamped on its crime portfolio. Despite its prior shortcomings and current dangers and desolation, I was excited about patrolling the grounds. I wanted to explore it fully. I began on a Tuesday. In those days, I drove a ’92 Honda Prelude. I parked near the Service Merchandise building, a place that once sold high-end VCRs and top-of the-line color television sets to welcoming hands and ears. In the parking lot was a white Titan Security pick-up truck. I disembarked from my Honda before searching high and low for the driver or an entrance to the mall. Minutes later, a Titan guard appeared from an unseen mall entrance, said hello and goodbye, and then handed me the keys to the truck and entrance door. It was the door I'd use for the next two months. I found the entrance leading to the mall. It was hidden behind a high stone partition. I stepped through the door and into a crypt of a long hallway. The sight was grimy and grayish-green; trash and autumn leaves pattered the floor. Hallway had a number of doors, most of them locked. The handles on a double-door had snake-chains fastened tight with a Master Lock. Further down, I discovered a permissible doorway. I yanked the heavy metal door back and entered the Mall of Memphis. It was a dead. The American mall was a corpse. Nothing stirred. My eyes twitched. Maybe it was the air of dust and abandonment and desiccation. The inside of the mall was wide, expansive, and for me, remarkable, like a secret only I was made aware of. Across from the entrance was the barren food court. 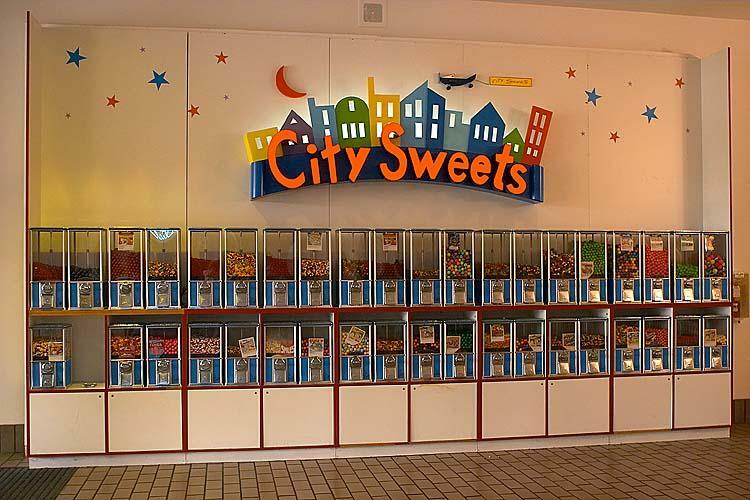 The food court offered nothing to eat except piles of candy heaped under broken candy dispensers. I considered eating some of the candy, but then I thought better of it. The candy could’ve been dirty with shoe and finger imprints. I wondered: Why would the owners of a dead mall even bother with security when the entire site would soon keel over? Then I thought about homeless people dwelling inside the mall—which would’ve happened if not for security goons like me—and then I pictured a wrecking ball crashing through the new tenet's residence and sweeping him or her off to another universe. It was an unlikely scenario, but someone could get hurt, killed, or sued. I left the food court and proceeded to check the rest of the mall. Half of the stores had corrugated shutter doors engaged, barring me from seeing or entering the interiors. Remaining stores were either devoid of goods and furniture, or what had been left behind had zero value. In a jewelry store I spotted a collection of watches on a scrap of shaggy carpet. They were worthless. They lacked bands and faces. Adjacent to the skating ring was a storage room housing many bins and cardboard boxes of Christmas decorations: trees, ornaments, and plastic Santa Clauses. I didn’t root through the storage room for long, so I can’t divulge a complete inventory of what was inside. Neither can I recall discovering much else that first venture through the musty catacomb that was the Mall of Memphis. Like I said, most of the stores were closed off or plain gutted of materials. On the first day, I saw most of what I’d see for the next two months: dust-laden railings and floors; hazy light slanting through the overhead skylights; blue and yellow straight-back chairs and tiny square tables in the food court; the vacant-eyed, open-mouthed stares of retail stores. I soon exited the mall and began my rounds around the building. Making tight-winded circuits around the mall’s premises was the gist of my job. That was what I was paid eight dollars an hour to do. I was a visual deterrent. Those with the knives and machine-pistols were supposed to see the dorky white guy driving by without even a flashlight to defend himself with and were supposed to quiver in their boots. I mean let’s face it, who doesn't get scared of the dorky white guy? Many times I had to clear the lot of people. I’d say to these people, “I’m sorry, but you can’t be on the lot,” and then wait for the vehicle to disappear. Most of the time, it’s a mother or father teaching their teenage brood how to handle an automobile. The other minute fraction was mostly vagrants shambling through the lot in-between drinking binges. These guys might seem scary, or even hairy, if you were to trip over them in a dark alleyway, but they never gave me any problems. Five years ago, guarding the Mall of Memphis wasn’t fun. Driving a truck for eight hours could sound like operating a gravy boat, but when you’ve done it for weeks on end, it can get really boring. When I worked as a security guard in Texas, most of the security posts were easy-peasy. I had plans to become a novelist. I disconnected myself from the task at hand so I could daydream about characters and stories. Daydreaming made the job much better. At the Mall of Memphis, it was tortuous. I couldn’t escape from the monotony like I could in Texas. The only thing I had to distract me was a little game called Halo 2, which I expected to arrive in stores the coming November. Any chance I got, I’d take a brief trip over to the nearby Toys “R” Us and stare at the teaser trailer they promoted. I watched it nearly a hundred times. I also browsed the interior of Toys “R” Us, looking at things I hadn’t played with since I was fourteen. I never used the bathrooms inside the mall because they were dirty and I feared someone, or something, creeping in while I was busy taking care of business. If that had ever happened, I would’ve been a cooked goose, since I would’ve had nowhere to go. After awhile, I found the Mall of Memphis spooky, spooky like Fox ‘Spooky’ Mulder. 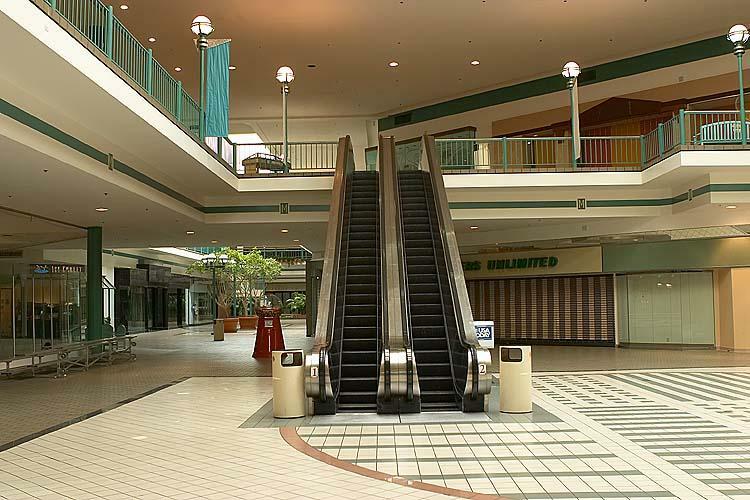 After all, this was the Mall of Murder. Maybe it was my imagination, or the ghostly wisps of desertion that hung hazy in the air. I kept expecting to find a ghost or some kind of horrible beast lurking inside the mall—something malignant or something to scare me silly. I’d peer down the end of a pathway, and think I had glimpsed a person standing there. The Mall of Memphis began freaking me out. Once I tried to fall asleep inside a darkened clothing store and couldn’t dare do it. Not only did I hear weird noises, but I could’ve sworn I sensed a presence lingering in the changing rooms at the back of the store. Around eight at night, when the sun had fallen from its great pedestal in the sky, the inside of the mall would switch from spooky to more like ghastly, with its faint blots of illumination and darkened stores. I hardly ever walked inside of the mall after eight. If my relief showed up for duty at midnight, I was free to go. Most nights she was there and I was gone. Around that time, two other guards (these guys armed) arrived on the scene and acted sentry inside the mall. Their command center was centralized in the executive offices just down a hallway from the bathrooms. There they enjoyed rap music, junk food, and sports games on the X-box console. They believed as I did: having a good time isn’t quite as enjoyable as when you’re getting paid for it. Occasionally during daylight, I’d stop by the executive offices and read security reports written well before the mall expired. The stack of reports I hefted from a file cabinet had a thickness a jackhammer couldn’t crack. I remember one of them involving a couple of slap-happy goons making off with twenty-thousand dollars worth of fur coats. Let’s face it, twenty thousand dollars is a lot of dough, especially for one store to lose. But no, crime wasn’t a factor in the demise of the Mall of Memphis. One afternoon I nodded off for a couple of hours. I had a pillow with me. It was nice and comfy. I had the air conditioner on full blast. My comfort ended when I woke up to the hard stare belonging to one of my supervisors. The supervisor was dutifully fair. Fair enough to present me with a write up rather than a juicy pink slip for sleeping in the truck. Before signing the write-up, he invited me to story-time. He said, “Man, I once heard of a security guard who was sleeping in his truck just as you were, and he never woke up. That’s because someone drove by and shot and killed him while he was sleeping.” He then made a gun with left hand and pointed the loaded sucker at me. “Bang!” he boomed, dropping his thumb. My reply had been a silent “gulp,” which my throat bobbed with. The supervisor had jabbed a cold ice pick into my fore brain. Never did I want to sleep in the truck again. Getting blown into the next week just wasn’t worth it. I should’ve become straight as an arrow at the job. But I didn’t. I broke the rules like a jaw-dropper breaks the ice. I did anything to dispel the boredom. I began using the company truck as my personal race car and took abnormally long lunch breaks. I’d go to Wendy’s and diddle and procrastinate on the way back. Soon after the write-up, I came up with the crafty idea of replacing my unconscious moments with “I’m-at-home-doing-whatever-I-like” moments. One evening around six, playing Counterstrike with some of my buddies online became awfully inviting. It was an itch I had to scratch. I didn’t want to get caught. I had another job at the time (bussing tables at the restaurant Abuelo's), still, getting canned hard isn’t the most pleasant experience a man can have. So how did I handle my dilemma? I called my friend J.D. and asked him for his advice. He started goading me on, telling it was a good idea for me to vacate the post for a while. “Get some fresh air,” he said. “And don’t worry about the flies.” Well, I took his kind advice and made the thirty minute drive to my apartment. In the entire two months I worked at the Mall of Memphis, a supervisor never stopped by the post during the day. Not once. The main supervisor came by at midnight because he was dropping off one of the armed security officers that didn’t have a ride, but never during the day. Can you guess what occurred during the brief lapse of time I was away from the post? Was my luck holding out on that day or what? Around eight I made it back to the post and began my humdrum task of rounding around the mall. It didn’t take long before I’m kick-starting my rounding into a prime-time Kentucky Derby. I was speeding around the buildings for at least forty-five minutes, keeping myself entertained…until a black supervisor came breezing into the parking lot like a slinky-toed wraith and ended my entertainment. I had never met this supervisor before. And I wish I never had. I don’t remember his name, either. I’ll call him Action Jackson for now. I followed orders. I parked…waited…bit my nails. I had queasy unease curling at the pit of my stomach. Action Jackson pulled nearby. He and the two overnight security guards hopped out of the truck. I found there appearance awfully peculiar. Never had they shown up for work before midnight. I gave him a brusque shrug. I couldn’t have told him the truth, could I? Fired? A cold shiver coursed the length of my spine. That wasn’t good news. I had promised my little brother I’d purchase him an X-box and a copy of Halo 2 so he could play the game with me and my friends come November. A termination would've prevented the purchase. The pay at my other job barely covered my rent and car note. “Why is that?” I screamed. My blood began to heat up; nerves began sizzling like raw bacon thrown in the fat. But I decided to do as I was ordered. Chatting with the two armed guards, Action Jackson said something directed at me and laughed. That had me blowing my top. I hollered at him, “F*** you!” I then opened the door on my car and was almost out of there when Action Jackson blitzkrieged to my Honda and wrenched one of my arms around my back. The pain was excruciating. “You gonna go home?” he asked. My mind blanked. I couldn’t think properly. Action Jackson was armed. His weapon, coupled with his authoritarian attitude and propensity for violence had me believing foolishly Action Jackson was a bona-fide police officer. “Yeah!” I hollered. “OK!” Action Jackson released me. When the blood began circulating in my arm again, the realization dawned: Wait! This guy isn’t a cop! He’s the guy who's about to go to jail! I whipped out my cell phone and dialed the police. After that, I phoned my boss and informed him of what had transpired and what was still going down. He instructed I stay put and that he was on his way. He also called Action Jackson and requested him immobile until his arrival. Action Jackson, though, had already skedaddled. He didn’t want to stick around for long. Why would he? Action Jackson was trucking away merrily, about to exit for the night, when suddenly he made a U-turn and came right back around to place he started. Our boss had obviously gotten through to him. It took the police nearly forty-five minutes to respond to the call. No one on the site was bleeding out their lifeblood faster than their heart could pump it, so the Memphis Police Department took their sweet time assisting me. Well, by the time I had two black MPD officers looming over me, prodding me for details, Our boss had already arrived and took a folded-arm stance next to me. He glanced at me with a concerned expression on his face. But I knew he had one priority: Stop me from making a rash decision. This was a potential lawsuit against the company we were talking about. Not to mention the firing of an upper-level echelon. If he prevented the lawsuit, that meant he could get on Kevin’s warm side and butter it up real nice. “You sure?” a police officer asked. Action Jackson was then off the hook officially, not that he was ever on a hook to begin with. He wouldn’t have to sweat signing a report against him. He wasn't fired or even suspended from the company. Actually I had to work with Mr. Jackson just two days after our tussle. Oh, and just so you know, Kevin caught me speeding a bit in the truck not long after and he hadn’t been happy. I can still hear his voice squawking over the walkie-talkie: “SLOW DOWN!” A week later, I quit Titan Security. I tried to put in a two-week notice with Kevin, but he told me not to worry about it since I wouldn’t have been needed there much longer anyhow. Biggs Wrecking had already initiated the erasure program of the once rocking in the eighties Mall of Memphis. The mall was erased and I bussed some more tables. Never did I see the mall again. 10/01/2009 - Great story, Kenneth! Loved reading about your late night escapades. You paint a very good picture with your words. I can't even begin to imagine the large swaths of boredom that would have accompanied you every night. You are a much stronger man than I for being able to deal with it. The only question I'm left with, is did you ever get the Xbox for your little brother?! Chris from Eastern Washington (that's the Washington STATE, for your right coasters ;-) ). Memphian from '82-'97. 10/01/2009 Yes, I did in fact. But my brother played the Halo 2 game for a month before getting bored.